PARTNER NEWS: More than 200 banks across northern Europe are now able to deploy token-based secure mobile payments services to their customers via a partnership between digital payments services provider Nets and Carta Worldwide. Nets is using Carta’s Token Processing Appliance (TPA), a turnkey tokenization platform which supports both cloud-based HCE and secure element-based NFC payments, to offer the service to its network of bank customers in northern Europe’s Nordic and Baltic regions. 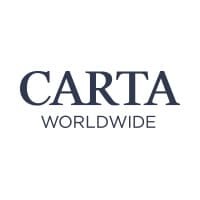 London, UK February 16, 2016 — Carta Worldwide and Nets Group have announced a partnership that brings secure mobile payments solutions to banks across Northern Europe. The partnership enables Nets to provide token services potentially to all of the banks that are being serviced by Nets across the Nordics and Baltics. ​As part of the partnership Carta — one of the world’s leading providers of digital transaction technology — delivers its Token Processing Appliance (TPA) targeted to processors, networks and large issuers. Nets now offers bank customers an open solution that dramatically simplifies the process of supporting or deploying mobile payment solutions. These bank customers will benefit from a configured and certified set of hardware and software modules within the TPA, including tokenisation and token credential management and provisioning, along with an easily integrated SDK for client mobile payment applications. It’s a simple compliant solution for what is typically a complex, lengthy process. The model allows Nets and Nets’ customers to preserve their role as a key provider of secure transactions for their customers while supporting their drive for innovative solutions for the future of payments. The service is designed to be compatible across mobile payment solutions and supports both global and local payment schemes. In other words business-as-usual for the bank. The TPA’s multi-tenant model allows issuers operating through Nets as their processing partner to cost-effectively share a common infrastructure. All customer banks benefit from a flexible long term roadmap — a solution that can adapt with ever-shifting user needs in mobile payments. “Nets is a hub for financial infrastructure in the Nordic and Baltic region providing services to more than 200 banks. The partnership with Carta allows us to deliver a broad range of innovative and secure solutions to our bank customers and enable their roll-out of new mobile services. This fits well with Nets ambition to set the benchmark for mobile payments in the Nordics by offering seamless consumer experience”, says Hans Henrik Hoffmeyer, SVP in Mobile Services area in Nets. Carta’s platform is more advanced than other token service platforms as it combines end-to-end issuance, processing and enablement for digital accounts, including tokenization, digital credential management and provisioning. Carta simplifies payments, delivering fastest time to market, and lowest total cost of ownership.